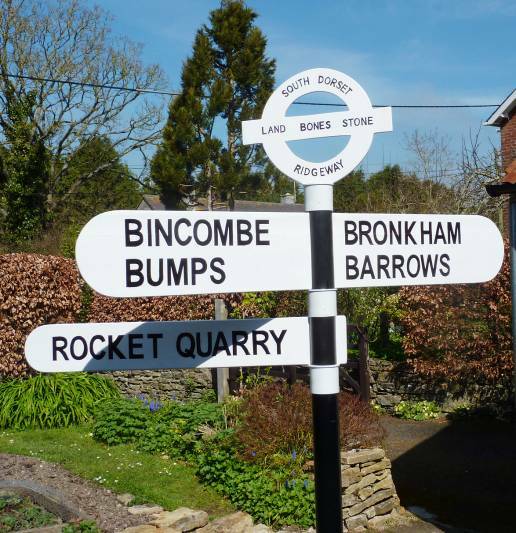 Dorset Area of Outstanding Natural Beauty (AONB) has over 850 fingerposts. Their design is thought to be unique and along with other roadside features like traditional phone boxes and bridge plates they contribute to local character. 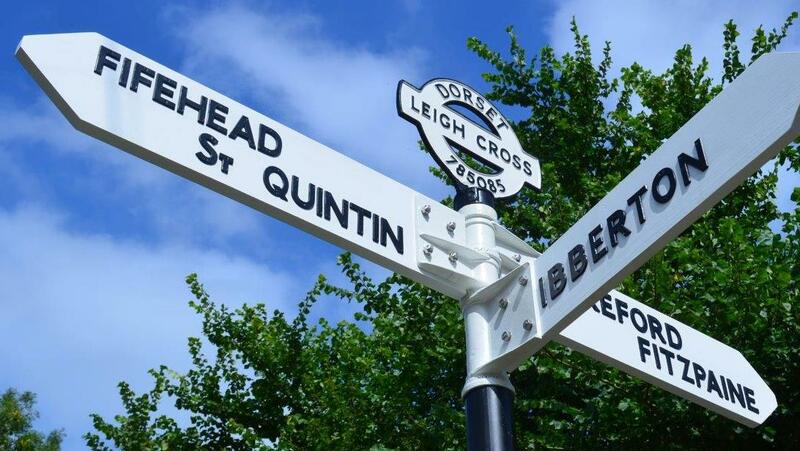 Unfortunately our Dorset Fingerposts are in decline. 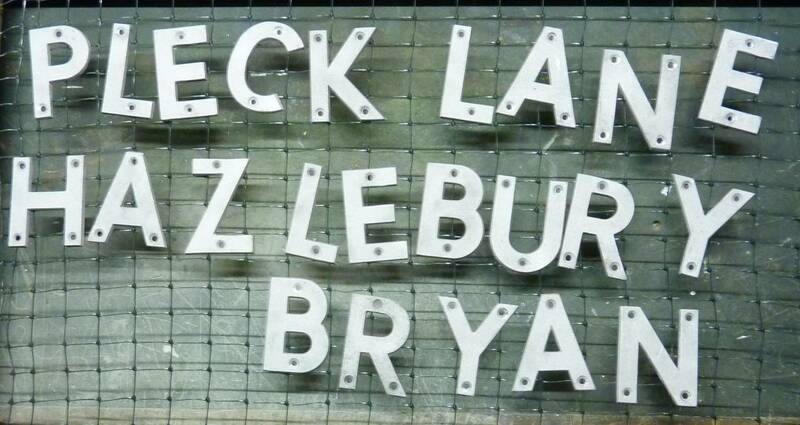 Many have been repaired using non-traditional materials or lettering, replaced using ill-considered new versions. Others are currently in need of TLC and unfortunately some have already been lost. Dorset AONB Partnership have established a project to retain our local distinctiveness www.dorsetaonb.org.uk/our-work/rural-roads/fingerpostproject and have commissioned a couple of local companies to support sponsors and volunteers in the repair and refurbishment of local signposts – or ‘fingerposts’ as we call them. Normtec are restoring existing letting and numbers to their former glory whilst Coles Casings are providing new stock ready for painting. 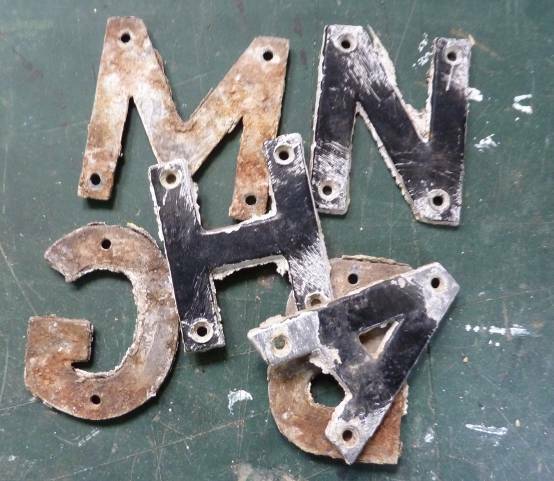 Our refurbishment process first includes grit blasting for removal of both the corrosion of the aluminium lettering and the old paint coatings. A British Standard finish of SA 2 ½ is achieved to allow good mechanical adhesion of subsequent coatings. Re-painting in specialised primers and undercoats suitable for aluminium is applied before finishing in weatherproof black as shown here in the recent work for Hilton Parish. 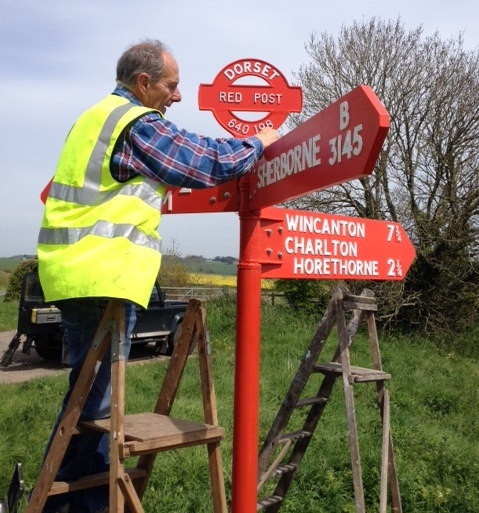 Normtec undertake the full life-cycle of restoration from identifying those fingerposts in need of repair to completing assembly on native hard wood. Normtec are proud to be associated with this community project and recently we have completed a model for display at County shows and other Public events such as the South Dorset Ridgeway Project.